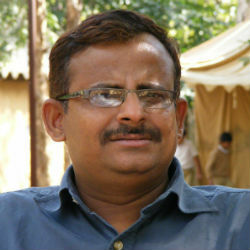 Sanjay Karkare is a journalist turned conservationist. 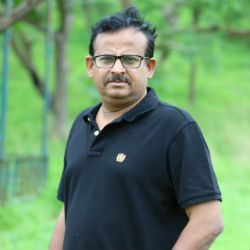 As Assistant Director at the Bombay Natural History Society (BNHS) in India, he is in charge of BNHS’ work on Born Free’s Living with Tigers programme, of which BNHS is a partner. Living with Tigers works across central India to safeguard wild tiger populations and educate local communities so they can live peacefully alongside wildlife. Key to this work is education – which Sanjay has spearheaded through Mobile Education Units. 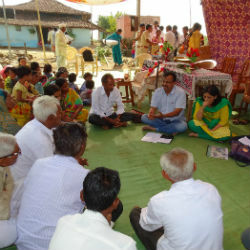 Mobile Education Units have been educating communities across Satpuda since 2005. The units visit 80-100 schools in seven protected areas to give conservation lectures and educate children about human-wildlife conflict. A nature camp is also held every year with jungle trails, films, exhibitions and lectures. “Through various capacity building programmes, I have reached a large number of stakeholders including school students, teachers, youths, women and bio-gas beneficiaries,” Sanjay adds. Other BNHS schemes through Living with Tigers include a bamboo workshop, which has created jobs and reduced incidences of human-wildlife conflict, and a bio-gas scheme through which bio-plants powered by cow dung are constructed in homes to provide a free fuel source to power cooking stoves. All this is a far cry from Sanjay’s previous career in journalism. He worked on a regional daily newspaper for 13 years as a Senior Sub-Editor and wrote many environment and wildlife-related articles.